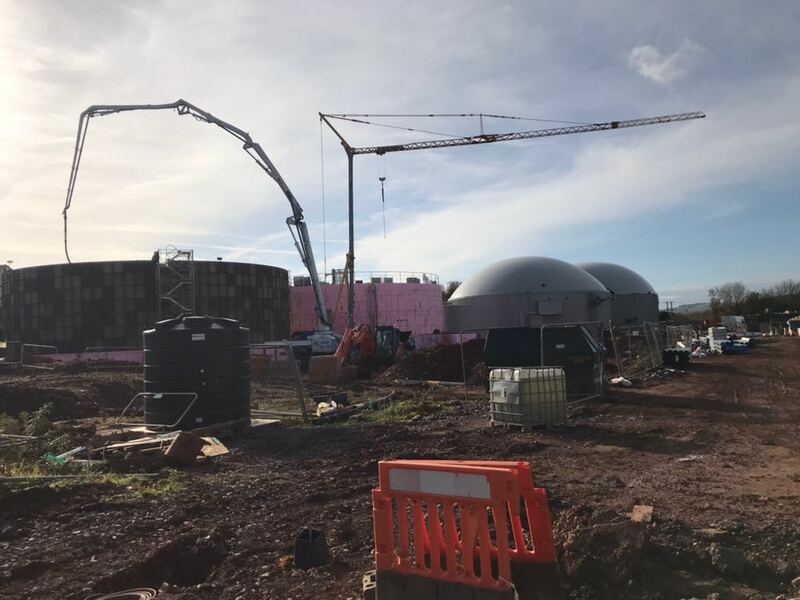 We currently have a Potain IGO on a Bio Gas Tank Project in Devon, working on a project that is due to last almost six months. The Self Erecting Tower Crane was placed on the construction site earlier this year in July. The Potain IGO50 is one of the most popular Tower Cranes on our Pedestrian Tower Crane Hire fleet. This particular Tower Crane was set up with a 40m jib length and a 23.2m height under hook. It can supply a maximum capacity lift of 1,000kg at the end of the jib and 4,000kg from the tower out to 13m. This is the second Self Erecting Tower Crane that Mantis Cranes has placed on a construction project involving a Bio Gas Tank project with this client. You can read about the other project here. We also worked with them in 2016 on a similar project. Can you have more than one Self Erecting Tower Crane working on a site?